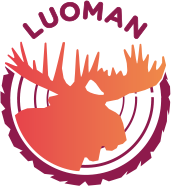 Luoman Oy (founded 1982) has achieved versatile professional know-how of light log building: cabins of different sizes & system-built tool sheds and kit cabins, like warehouses and garages. Because of our wide range of products we can serve our customers in the best possible way; you can build a functioning and compatible wholeness by our products, following your own needs. We have the high tech production system ensuring the distinguished quality. • Personnel: about 160 persons.